Ashley graduated from the University of Florida, where she earned her bachelor’s degree in telecommunications with a concentration in sociology. Growing up in a military family, Ashley has lived up and down the East Coast, but she calls the South home from years spent in Fayetteville, North Carolina. She got her start in news in Philadelphia, where she interned and worked for the NBC and CBS affiliates, WCAU and KYW. 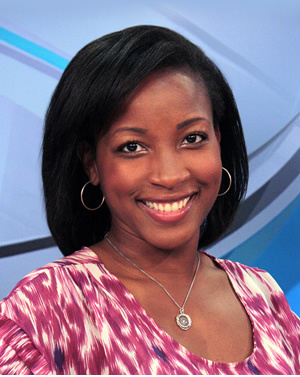 She most recently worked as a multimedia journalist for WJHG in Panama City Beach, FL. While she will miss the Sunshine State, she looks forward to telling more stories and making new memories in the Sunflower State. Ashley is a member of the National Association of Black Journalists and enjoys singing, reading and experimenting in the kitchen.